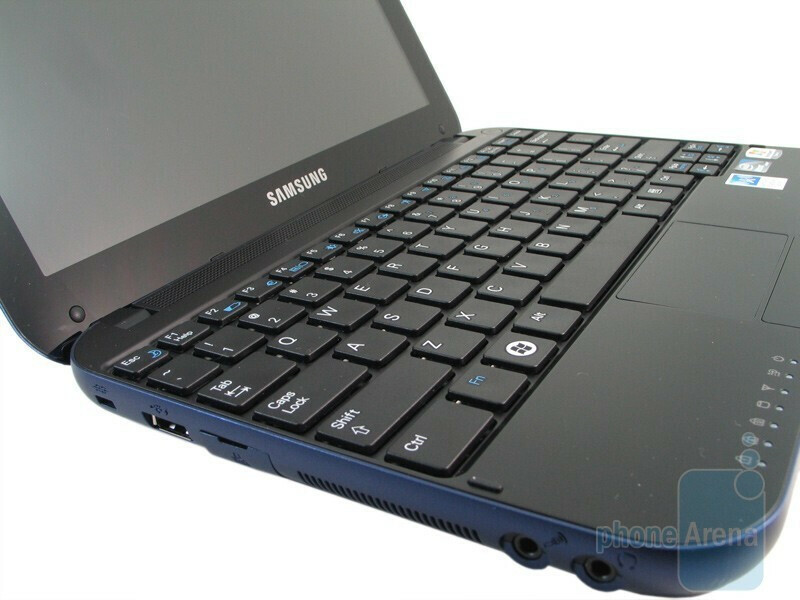 Not a stranger to the netbook market, Samsung has been producing a wide variety of choices that caters to the specific needs of consumers. Sometimes design and looks may not come into play for customers who are looking for something that is functional at its core. 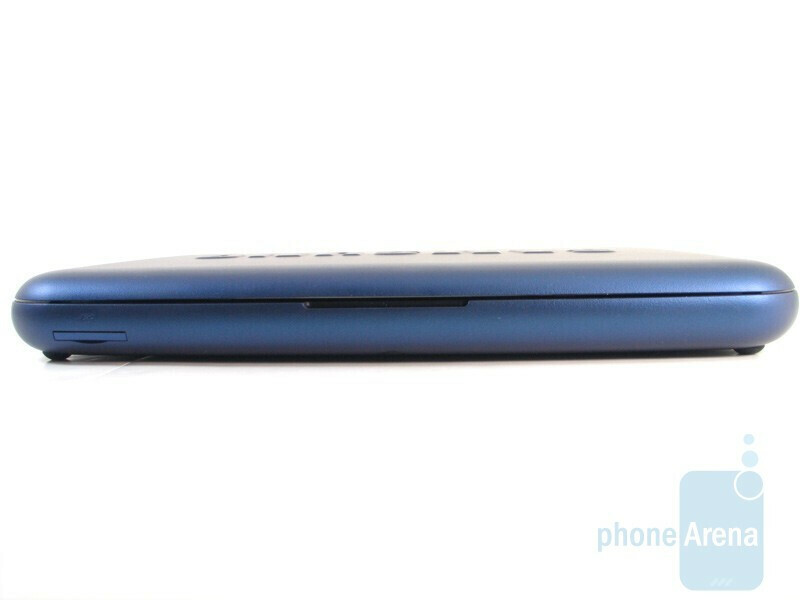 We’ve already checked out the clean cut looking Nokia Booklet 3G that makes the design of netbooks comparable to some high end notebooks that Apple throws out from their camp. 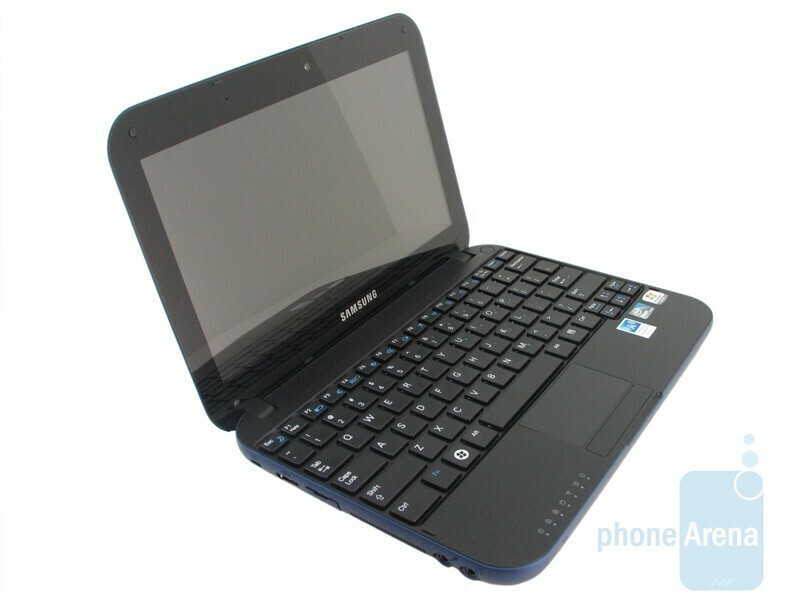 The Samsung Go N310 forgoes an aesthetically pleasing exterior with one that is uniform all around to provide an experience that’ll hopefully be tolerable for web surfing on the go. 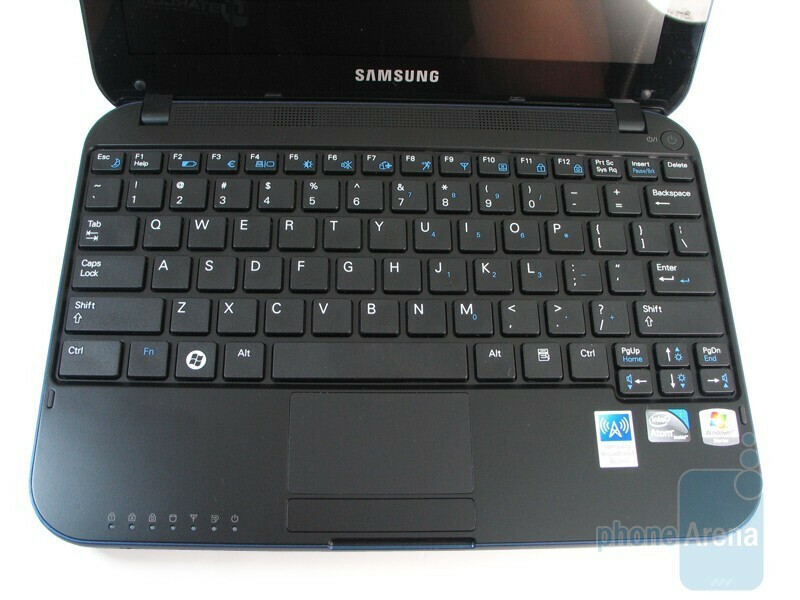 Right now it’s AT&T’s first Samsung branded netbook to fall in line on their lineup – let’s see if the Samsung Go can really go and find a niche to make a name for itself. Samsung throws the Go in your standard looking box along with the charger, battery, and instruction manual – nothing out of the ordinary or any extra goodies. 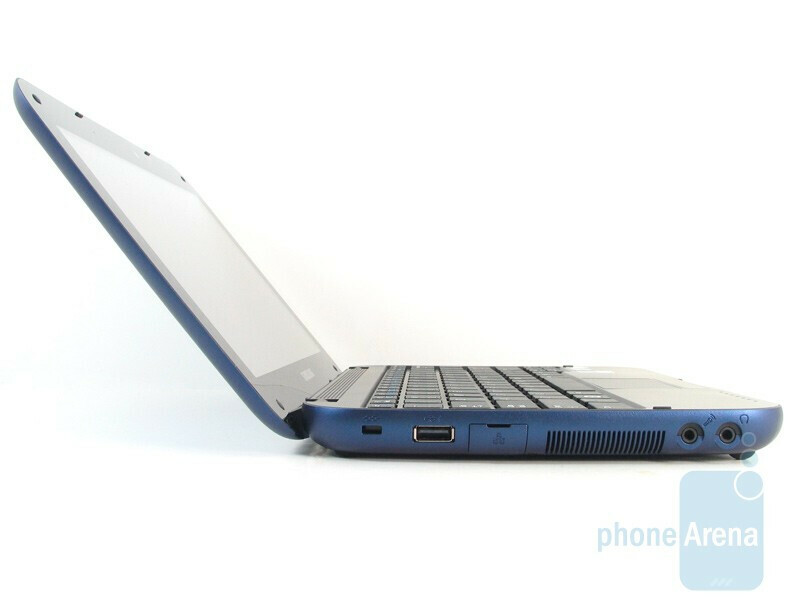 This netbook won’t win any awards for turning heads with its uniform bluish colored soft touch feeling material covering the entire unit. Luckily there’s a decent amount of color options to best fit your needs if the blue one doesn’t particularly suit your taste. One good thing to mention about the material is that it doesn’t ever get too dirty or attract fingerprints; so it’ll always look clean. We’re not going to argue about Samsung’s decision, but the extremely large sized Samsung logo covers a good chunk of the back portion of the screen – it definitely screams your love for the Korean manufacturer, but it is overly exemplified. 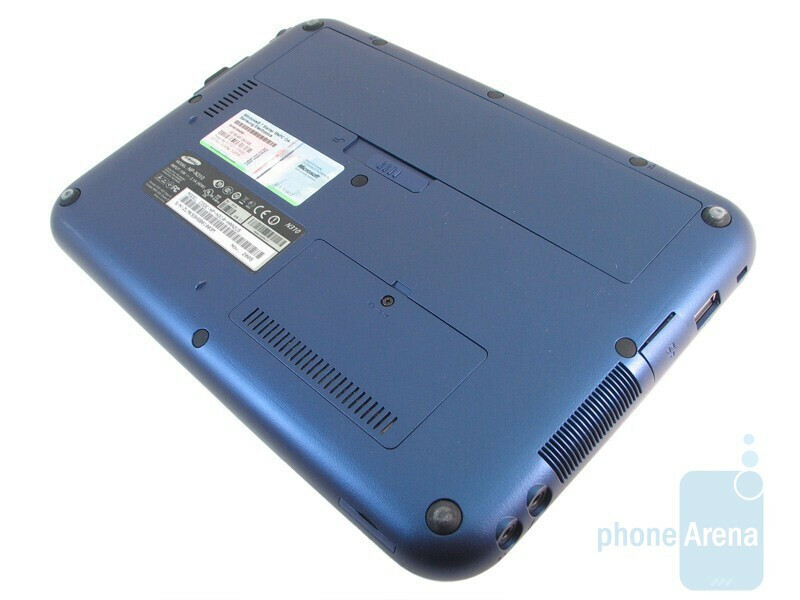 The Go N310 is a bit hefty looking when you pit it against the Nokia Booklet 3G side-by-side – luckily we find it to be solidly constructed all around and don’t question its durability. 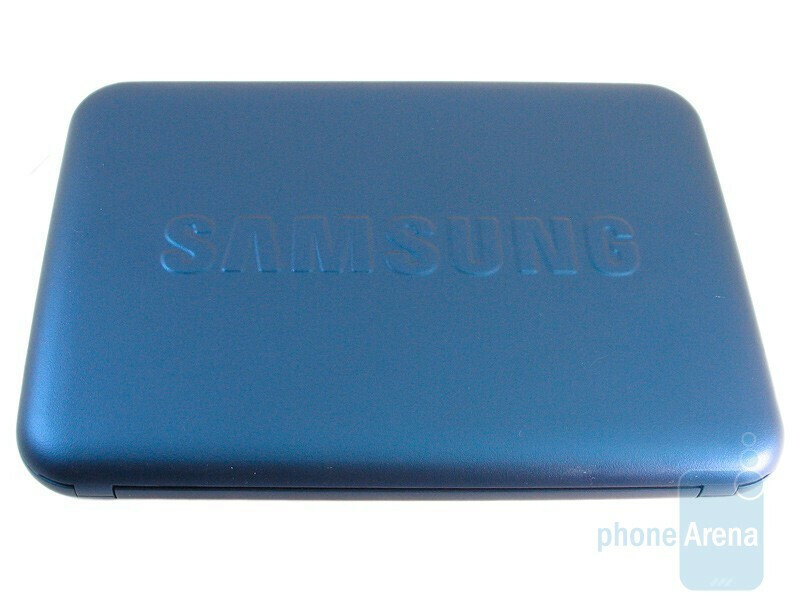 The Samsung Go has your usual set of connection options - 3 USB ports, Ethernet, microphone & headphone jacks, 3 in 1 card slot (SD, SDHC, MMC), and VGA port. In addition, it has a 1.3-megapixel camera with built-in microphone, Wi-Fi 802.11b/g, Bluetooth 2.1, and connection to AT&T’s 3G network via its quad-band UMTS modem. 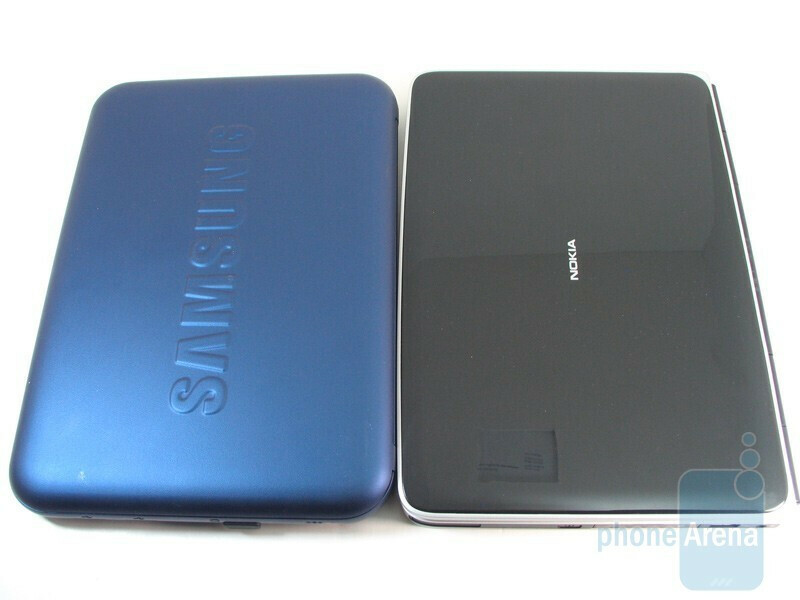 LED screens seem to be the trend that most netbooks follow and the Samsung Go doesn’t deviate from that path. 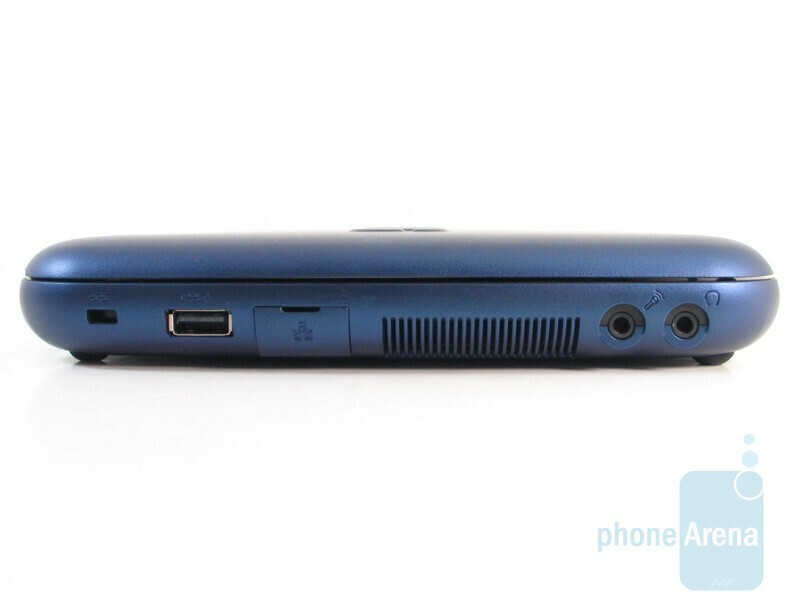 Its 10.1” WSVGA display has a glossy finish and packs your standard resolution of 1024 x 600 pixels which is crisp enough. As for brightness, the LED screen is visible in just about any lighting condition. From the looks of it, the display can be extended to 135 degrees – unfortunately the hinges connecting it to the body make us question its strength over time. We’re fans of the adequately sized chicklet style keyboard that makes typing such a breeze. Keys are slightly larger than what’s found on the Nokia Booklet 3G and has the same tactile level. Anyone transitioning to this keyboard style from your traditional one will be pleasantly surprised how quickly you can type with little to no mistakes along the way. 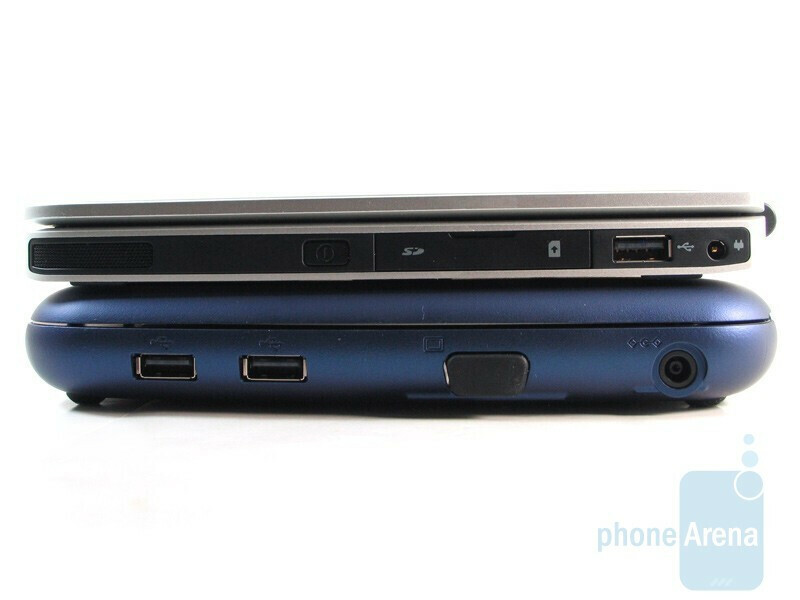 There’s slightly less room for your palms to sit which is partly due to the speaker taking up most of the top edge. 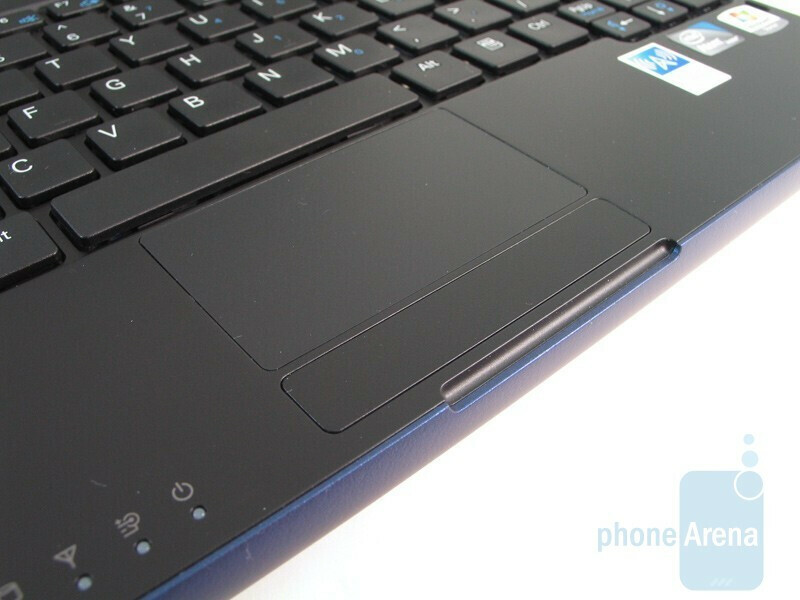 Finally, the touchpad sits dead center towards the bottom which is responsive when it comes to navigating. 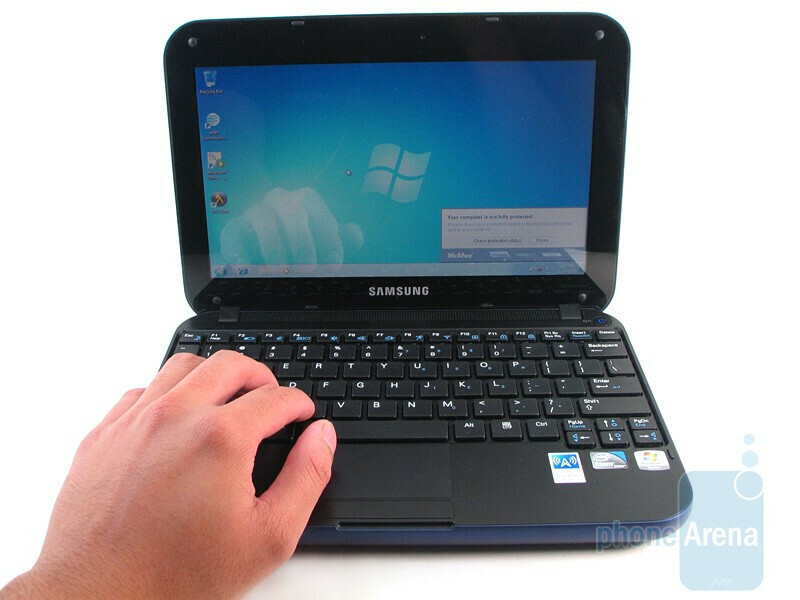 There are numerous configurations you can select with the Samsung Go netbook, but the one we have uses an Intel Atom N270 processor running at 1.6GHz, 1GB of RAM, 160GB hard drive, and came loaded with Windows 7 Starter Edition.